With only one week into June it already has been one of my busiest months in a long time. Still coming up I have extra rehearsals for my daughter's first recital, her starting soccer class, my nephew's preschool graduation to go to and a few events and a conference to attend. I love being busy but sometimes making a home cooked meal for my family takes the back burner. 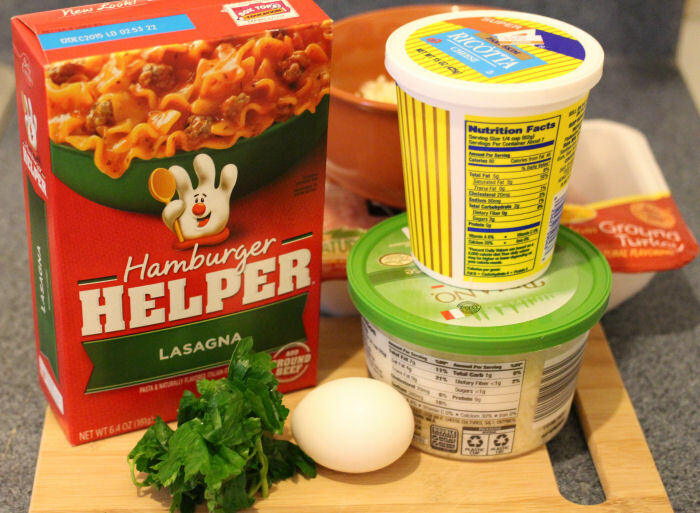 I am trying to plan easy and delicious meals for my family during those extra busy days so I am stocking up on one of our favorites, Hamburger Helper®. 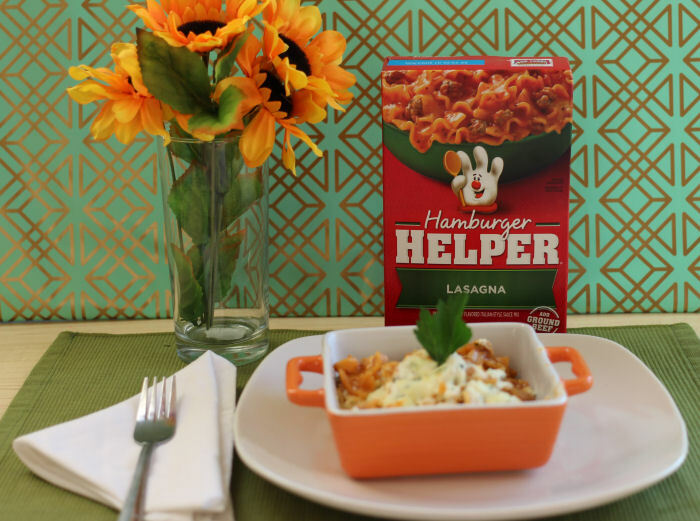 I wanted to take our favorite flavor of Hamburger Helper®, Lasagna, and take it to the next level. Since you don't have to boil your pasta before or bother with sauce I was able to get that same great baked lasagna taste by adding ricotta, mozzarella cheese and popping it in the oven. Best of all you can find all of the ingredients at Walmart. I love that it only took me a fraction of the time too. Everything tasted so good and in the time that the cheese melted in the oven my kitchen was clean. 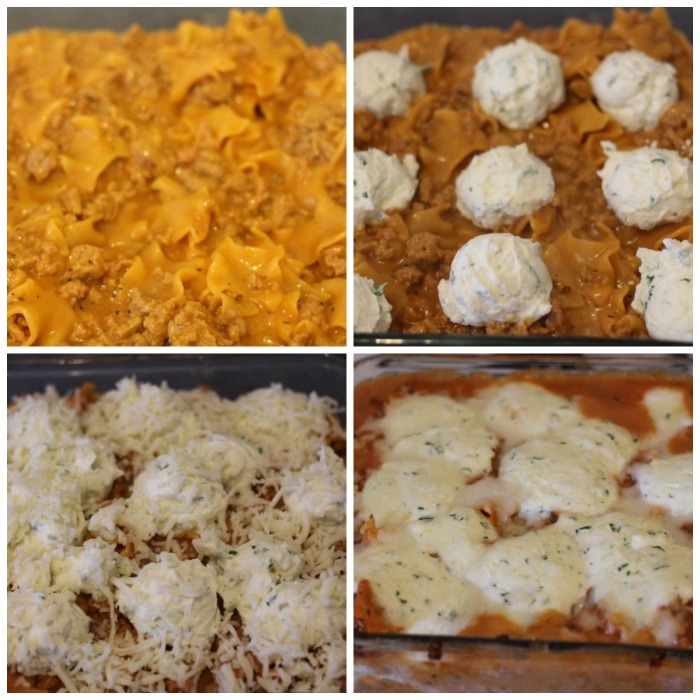 My husband and daughter were excited that they got to have "real" baked lasagna because I usually only make the traditional kind on special occasions. Follow the instructions on the box to make the Hamburger Helper®. 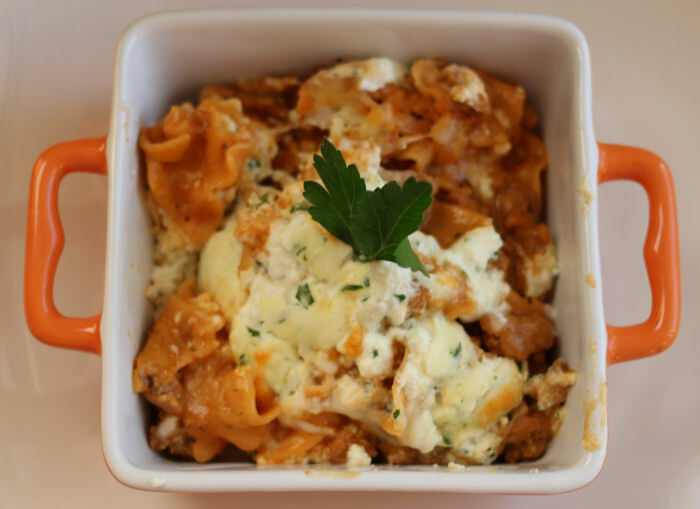 While the Hamburger Helper® is cooking mix together the ricotta, egg, parmesan cheese and fresh chopped parsley. 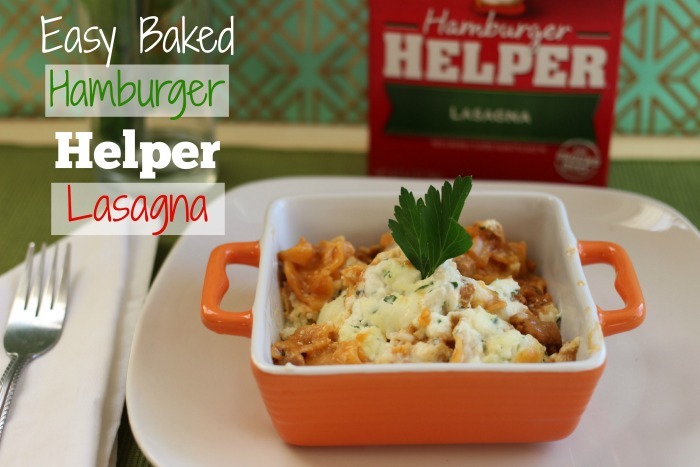 When the Hamburger Helper® is done take half of it and put it into a square baking dish. Sprinkle half of the mozzarella cheese on top and then scoop on half of the ricotta cheese into little mounds. Repeat for another layer with the remaining ingredients. Place in the oven for about 25 minutes until the cheese is melted and bubbly. Scoop it out, sprinkle with fresh parsley and serve. Don't forget to take advantage of the Hamburger Helper® Ibotta deal where you get 50 cents back for purchasing one at Walmart? Ibotta is a free app that you download onto your smartphone to save.